Stormtroopers sure know how to dress! 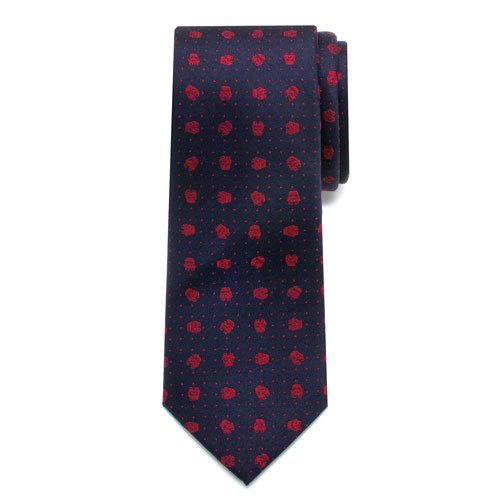 Just look at this Star Wars Stormtrooper Micro Dot Boys Large Silk Tie. Not only does it measure approximately 49-inches long x 2 3/8-inches wide, but it even features the Stormtrooper helmet and some stylish dots in red on a navy blue background! Pre-tied with hook closure for easy-on, easy-off. 100% Silk. Best suited for ages 6-12.